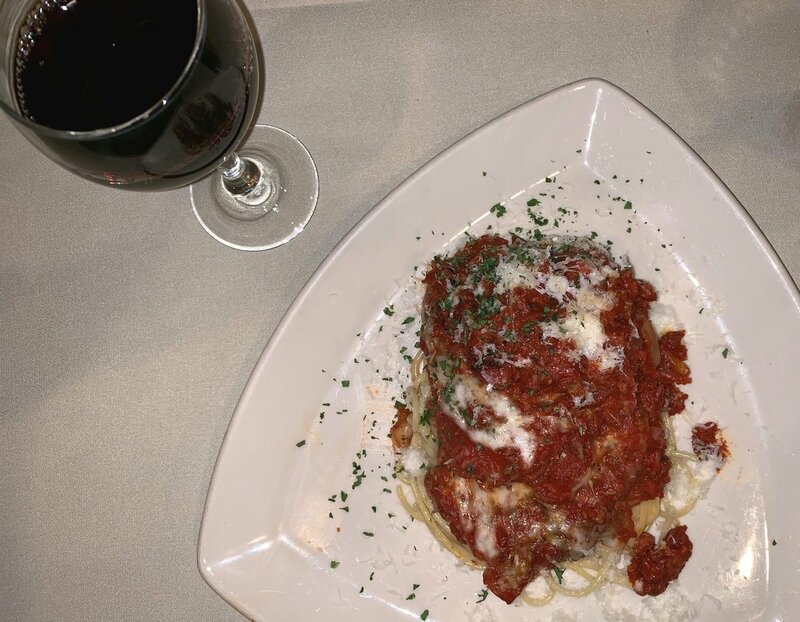 Angelo's Restaurant has been a Burien favorite since 1957. ANGELO RICCI was a second-generation American, descended from a family in Pisterzo, Lazio, in the Monti Lepini—about 100km southeast of Rome. In May 1957, Angelo Ricci opened a delicatessen on the corner of SW 153rd Street and 6th Avenue SW in Burien. At first it was just a small counter and a few tables next to the only liquor store in town. Angelo learned his family’s method of Italian cooking from his father Michele, a grocer who had immigrated from Italy to Osawatomie, Kansas in 1911. Michele always emphasized the importance of the quality and freshness of ingredients. Angelo and his family rapidly expanded, offering a full dining room and lounge by the early 1960s. Angelo made a name for himself by bringing food from around the country and world to Burien. Now, over half a century later, Angelo’s children and grandchildren carry on his legacy. In addition to our main menu below, we offer specials six days every week click here to see tonight’s selections. [CABERNET SAUVIGNON] 14 Hands; Wash.
[PINOT NOIR] Chateau St. Jean; Cal. [RED BLEND] Two Mountain “Hidden Horse” ; Wash.
[RED BLEND] Cashmere by Cline “Black Magic”; Cal. [RIESLING] Chateau Ste. Michelle; Wash.
We offer three spacious banquet rooms for private parties and in most circumstances don’t charge a fee for their use. Our largest space. This room can seat up to 50 people in a variety of arrangements. Located in the back of the restaurant with a private entrance and restroom. This room seats about 25 people. A semi-private room that can seat 10-20 people. We offer a variety of different menu styles for banquet parties and the best way to choose the menu for your event is to work with the banquet coordinator once you have reserved the room and have confirmed the number of guests. All of these menus are for entrees only, and don’t include any dessert, drink or appetizers. Banquet Menu: Our banquet menu has a variety of menu items such as spaghetti in our house meat sauce, fettuccini Alfredo, seafood cannelloni, beef cannelloni, chicken parmigiano, shrimp salad and if so desired our famous steaks. All dinner items come with a small dinner salad and garlic bread. You can elect to have the menu presented with prices, if the guests will pay separately, or without prices, if you are paying. Buffet Style: For buffet style, the banquet coordinator will give some menu options such as rigatoni Alfredo, penne pasta in our house red sauce with meatballs and chicken Marsala. This also includes a large salad and garlic bread. We charge a per plate fee for this option. The example menu choices listed above are $18/plate, but prices can vary significantly depending on your choices. Family Style: Perhaps best thought of as a “seated buffet”, with this option, the food willbedeliveredonpartyplattersspreadaroundthetables. AswithBuffetstyle,there are a few different options for food, such as penne pasta with red sauce and meatballs, chicken Marsala, rigatoni Alfredo or other options. Everyone gets an individual dinner salad, and of course, garlic bread. We charge a per plate fee for this option. The example menu choices listed above are $18/plate, but prices can vary significantly depending on your choices. Custom Menu: The banquet coordinator can help you come up with a menu to fit the needs of your party. For more information, please use the contact form below, or call (206) 244-3555 to set up a time to speak with the banquet coordinator. Enter your desired reservation date and time in the fields. You will be contacted if we cannot accommodate your request. Please note: this tool cannot accept same day reservations after 3:00 p.m. Please call (206) 244-3555 to make these requests. Your reservation request has been submitted. We will contact you if we are unable to accommodate your request. PLEASE NOTE: if you submitted a same day reservation request after 3:00 p.m., your reservation HAS NOT BEEN ACCEPTED. Please call (206) 244-3555 to make these requests. Use this form to get in touch with us. Be sure to leave an email address or phone number if you desire a response. All images, text, and content are the property of Ricci, Inc., or are used under license.